If anything can be said of this wedding it's that it was a celebration of love, friendship and family in a fun and festive atmosphere. 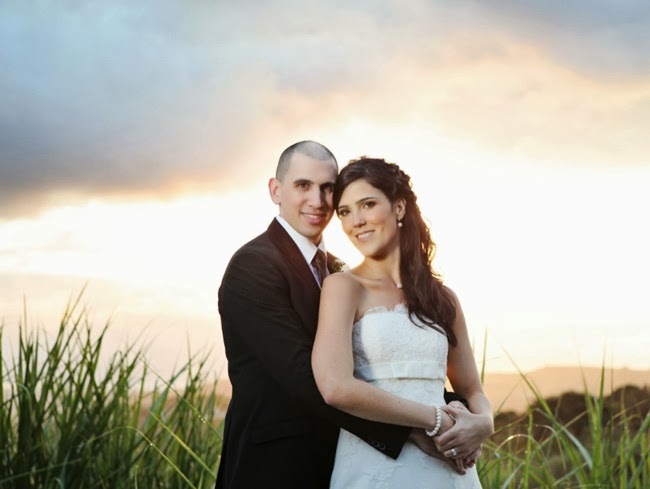 Sabrina glowed with bridal grace and Rohland was a ever gracious and dignified groom. The day ended up being a very rainy one, but nothing could dampen this lovely couple's day. 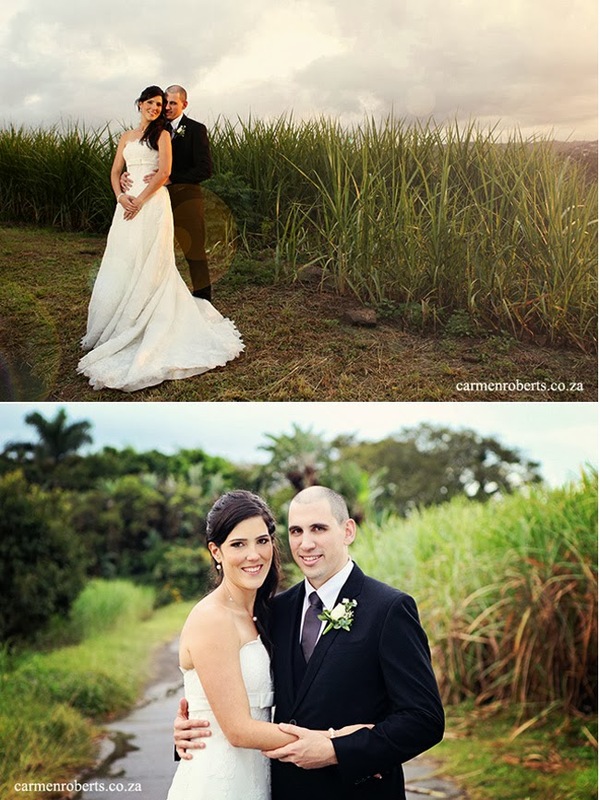 Shot by the talented Carmen Roberts and hosted in the beautiful de Charmoy Estate, this wedding is one to remember. So what's your love story? Roh was quite sneaky because he organised a last minute weekend away to recuperate after a stressful few weeks at work. I knew what was going on at work, so I thought nothing of it. We started looking at places together, and we even looked at some self-catering places in the berg where we could go with friends (Roh was playing me!). On the Monday before the so called weekend away, he got in touch to say that he had booked for us to go to Leopard Mountain for the weekend. He’d heard it was an awesome venue and that it wasn’t that far away. When the Friday arrived it was pouring with rain, Roh hadn’t done his homework very well and it took us over 3 and a half hours to get there! We phoned ahead to say we wouldn’t make it on time for dinner. When we finally arrived our guide told us that we had a romantic candlelight dinner for two scheduled in their secluded dining area which included a private campfire. To be honest, this made me a little suspicious for the first time, however, NOTHING happened! I was later told that it was intentional to throw me if I had had any suspicion of anything happening ;) We had an awesome dinner and got to bed exhausted after the week and stressful drive in the bad weather. The next morning we woke up and Roh had booked for us to check out the Elephant Experience at Bayete Zulu which was incredible! We got back to a packed picnic lunch and settled down for an afternoon nap. When we woke up, we showered and got ready for dinner. Roh opened a bottle of red wine and we sat out on our veranda (we had an incredible view). After chatting for a bit, he got down on one knee and asked if I would marry him! Happiest moment ever!! 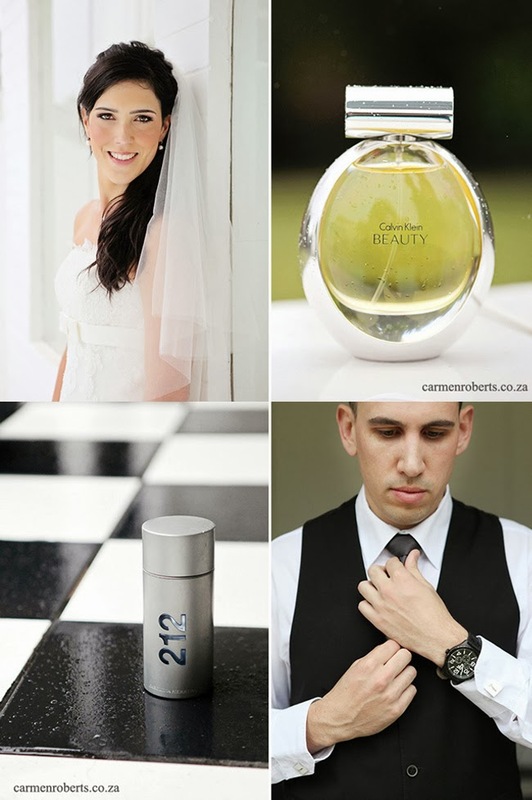 What was the best lesson your learnt through planning your wedding? You can’t always please everyone, just enjoy the planning and being in the moment. It is the most exciting time! Enjoy! Soak up all the excitement. Pinterest was a lifesaver - I got most of my ideas from there! Just chatting with family and friends helped me develop my ideas further and adapt them to our venue. My family was very involved. My mom was so supportive with all of my ideas and we just seemed to be on the same page so we started planning straight away. Roh’s mom was incredible, she helped tremendously and was also so supportive and on board with my ideas and what I wanted. With it being at my in-laws venue, this meant that both families were very involved in the décor and planning. Rohland was also quite involved. I always ran things by him, and we then worked on what we both liked and where we differed. But, it was more the moms that were involved! My best friend, Jordan’s mom, was also a HUGE help with all of the décor and table runners. She helped us with the shopping of material and we went to her house to do the cutting etc.! I would not change anything, not even the pouring rain! It was just perfect and the mud around the bottom of my dress is going to be a talking point for years to come J We were so lucky with our photos, the weather cleared for a brief moment so we could get a few shots in. The talk up until that point was to have the photos done the next week! Yes, we bought all the hessian and lace and cut it ourselves. We also bought a lot of bunting from In Good Company, which we then hung up ourselves. My father-in-law got someone to make the wooden signs for me with various quotes inscribed (these were placed strategically around the venue) and the blackboard place mats. Yes! As I said previously, it was pouring with rain and we were supposed to have all our drinks and canapés in the garden! 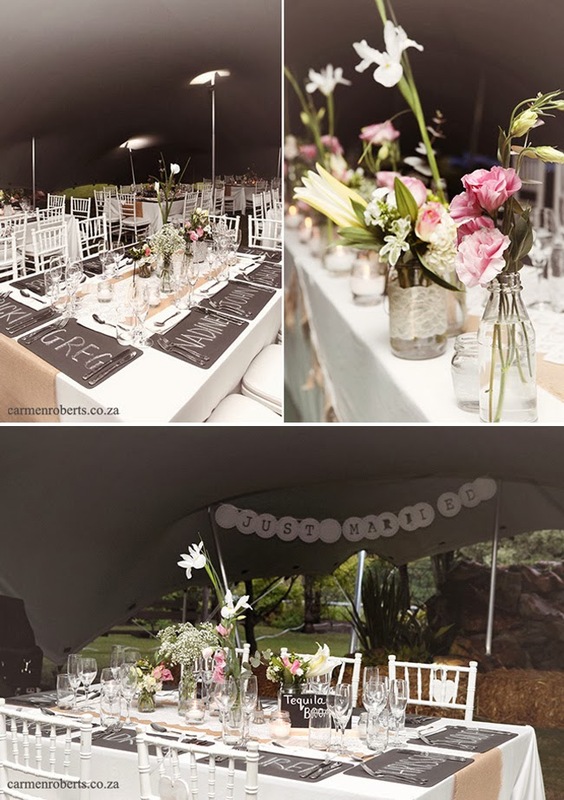 Our wedding was also in a marquee so we were planning on no rain- after all – it was May! My poor dad was up all night stressing about the weather! He kept asking my mom what we were going to do! I however, was so excited that the rain did not phase me. It was unbelievable what came over me - nothing could dampen my spirits. I was however, surprised to hear when we did arrive at the reception, that my poor husband, groomsmen, father-in-law and uncle were busy all morning trying to pump water out of the ground as it was saturated where the main table was. 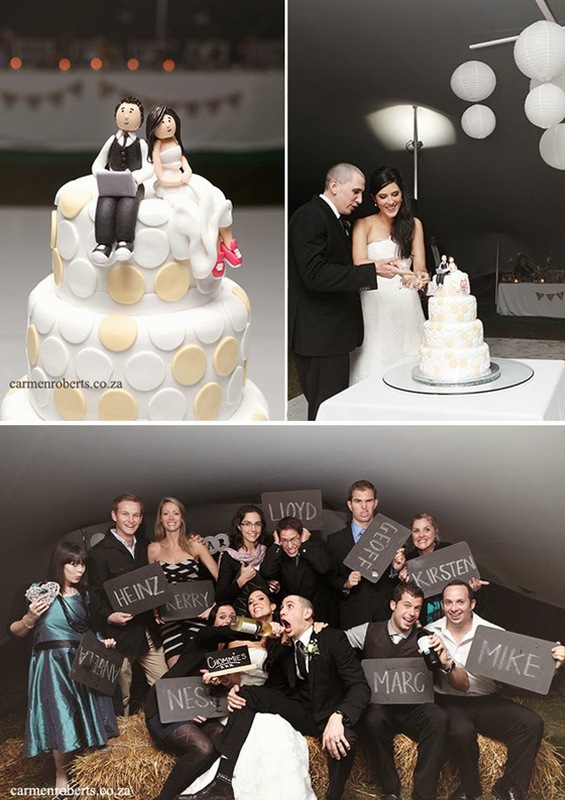 The groomsmen were absolute life-savers, they bought green felt, which they then put down under the main table to compensate for the muddy ground! The weather drama was averted but we had another surprise in store. Thirty seconds into Roh’s speech, his uncle passed out right in front of everyone. The speech had to be aborted while everyone attended to him. He was put on a stretcher and rushed to hospital. Thankfully we received news soon after that he was fine and that it was related to his diabetes. The wedding celebrations resumed, but that could have turned out very differently! Our wedding song was a cover of ‘Just the way you are’ by Boyce Avenue. Hear the song here. We had a vanilla and chocolate tiered cake. We went on honeymoon to the Okavango Delta in Botswana. 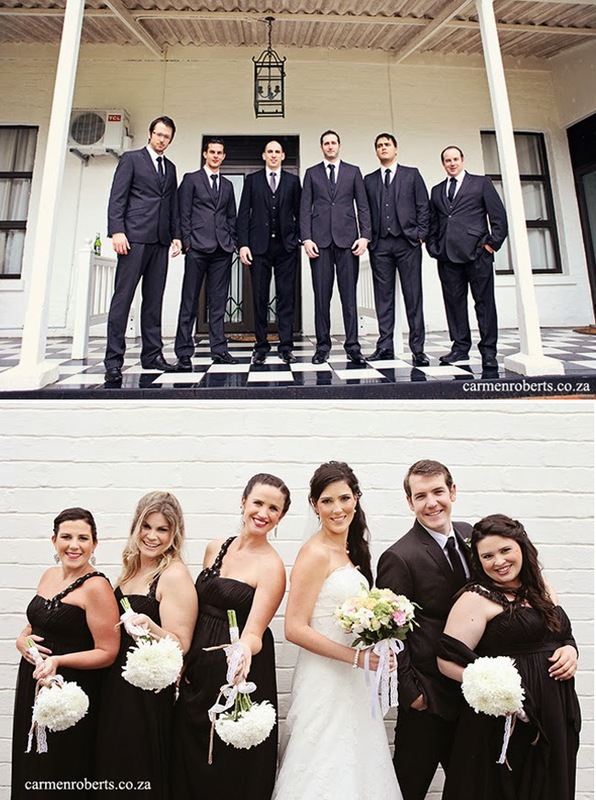 Dress (including bridesmaids dresses): Brides dress was from Bridal Manor in Pretoria and Corinne Horn made the bridesmaids dresses.